Dr. Kenneth R. Evans (Ken) is the 15th president of Lamar University. He began at LU in July 2013, after more than six years as dean and Fred E. Brown Chair at the Michael F. Price College of Business at the University of Oklahoma. Prior to OU, Evans served in a variety of administrative roles at the University of Missouri-Columbia, where he also held the Pinkney C. Walker Professorship, and at Arizona State University, serving as a faculty member in marketing. 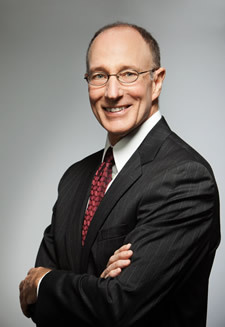 Evans received his doctorate from the University of Colorado, his MBA from California State University-Sacramento and his undergraduate degree from the University of California-Davis. His research has been published in the most prestigious marketing and business academic journals and has received national and international recognition for his contributions in many of these publications. Evans is an award-winning teacher and has been particularly recognized for his work in the design and implementation of interactive learning experiences and graduate education. Additionally, he has been acknowledged for his role in building program initiatives that provide primarily undergraduate students access to opportunities to study abroad. Major initiatives by Evans at all three of his previous academic institutions were focused on improving faculty quality in research and teaching, design and implementation of new programming, and recruitment and retention of high quality students. His time at LU has been no different. The success he has had, along with that of each of the universities he has served, is grounded in the partnerships struck with the community, business and other key stakeholders. Prior to entering academe, Evans worked in the transportation industry in various marketing and sales capacities and has been actively involved in sales and sales management consulting in the banking industry, convention sales and financial services.